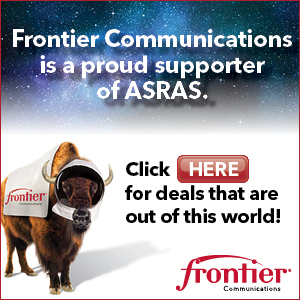 We are in our third year of active development projects to look at the night sky in the Radio Spectrum and have been able to complete some major accomplishments. 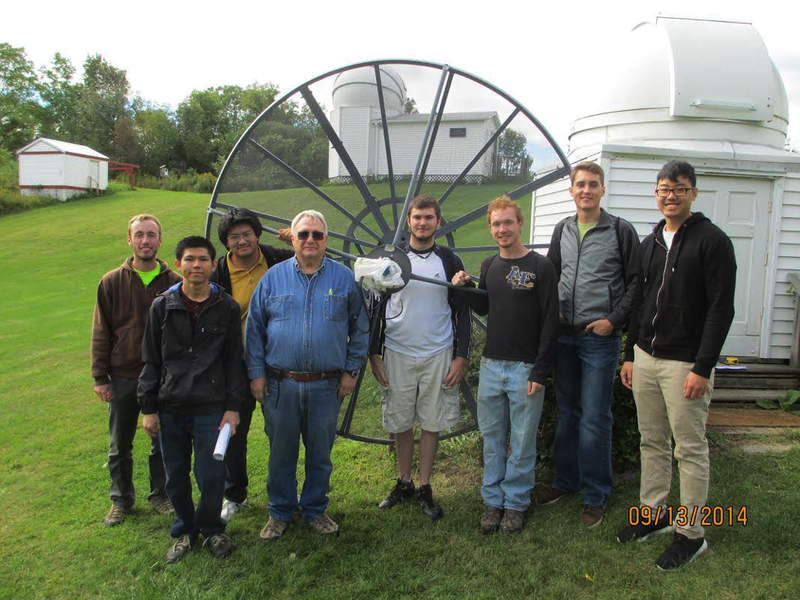 This past school year has seen both the University of Rochester (U of R), and Rochester Institute of Technology (RIT) deliver critical elements to the Solar Radio Spectroscope. 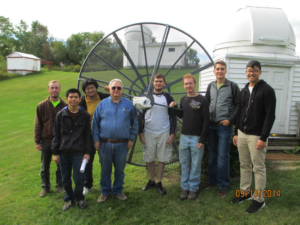 For our educational outreach event, we hosted a Boy Scout troop in Ionia (Pix_1), for a sleep over this last spring and were able to make our Portable Radio Telescope (PBT – itty bitty radio telescope) operational. It’s now completely portable, with battery power for ‘field’ use, with a high resolution turntable (better than 2 degrees angular resolution, Pix_2). Scouts had a great time ‘seeing’ their own body heat giving off RF energy, looking at the RF emissions from the Sun and finding Geosynchronous satellites in Earth orbit. The Solar Radio Telescope project is coming together nicely. The purpose of this project is to study RF emissions from and ‘Angry’ Sun (visible sunspots, Pix # 3). We are elated that our Solar RT project was selected by RIT’s engineering department’s competition for their senior design activities. A team of seven students (Pix_4) designed phase II for our project to track the Sun in its daily movement. This effort includes customer requirements, animated simulations of the Sun’s movement from summer through winter, the PC, electronic controls, software, servos, and mechanical mounts. The spring semester saw this concept design executed in hardware, built in the RIT model shop, debugged in the lab, and then installed in Ionia! The pinnacle of this effort saw completely autonomous operation of Sun tracking without any human intervention (Pix_5), publically demonstrated at RIT’s Imagine Festival in May 2015 (Pix_6). Additionally, this design ‘puts itself to bed’ at night, knows when to look to the East for sunrise, and has a high wind ‘safe mode position (zenith), and park service (maintenance) position. If this (above) accomplishment wasn’t enough, work done by the U of R team, allowed us to implement the real horizon in ‘Radio Eyes’ (our RF star data base). And their software control of the Callisto receivers allowed us to complete a RF site survey of the Ionia ‘scope location (Pix_7). Our proof of concept prototype was able to characterize the potential interfering emitters at the Ionia site (Pix_8), and provide actual usable RF Sun emission data. This work has established a new (potentially proprietary) mathematical technique for active noise cancellation of base (fixed location) interfering emitters. To our knowledge, no one in the Radio Telescope and/or eCallisto development community has seen this before. Our plans for this coming year include expanding the small dome building (adjacent to our installation) enabling a corner of the building to act as an operator/debug station, a high speed internet and AC power connection, batch data transfer to Zurich, and system software integration.